The Gossies 2019 are sponsored by top hair salon Zero One – the celebrity favourite prides itself on creating the ultimate you in a luxury environment while using the best products on the market. Once again, we’re delighted to be honouring the best female TV presenters in the Irish entertainment industry this year. 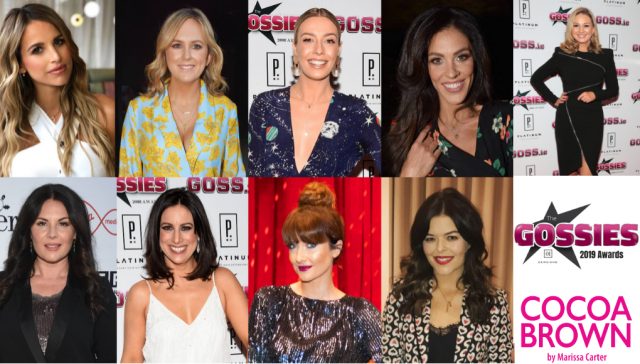 It’s been another amazing 12 months for women in Irish television, and it’s been great to see some of our all time favourites, and some new faces, killing it in front of the camera. The Best TV Presenter category is sponsored by Cocoa Brown by Marissa Carter, which is proudly the number one selling express tan in Ireland, the UK and Sweden – with over 15,000 stockists worldwide. 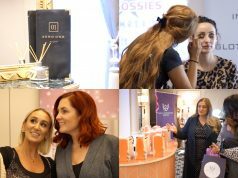 The brand is renowned for its iconic 1 Hour Tan Mousse, but it also boasts a host of other beauty products including their Goddess shimmer oils, body scrub, moisturiser, and mitts – to name just a few.